The Wood County Historical Center (WCHC) operates out of the former Wood County Infirmary, (also known as the poor farm or county home). 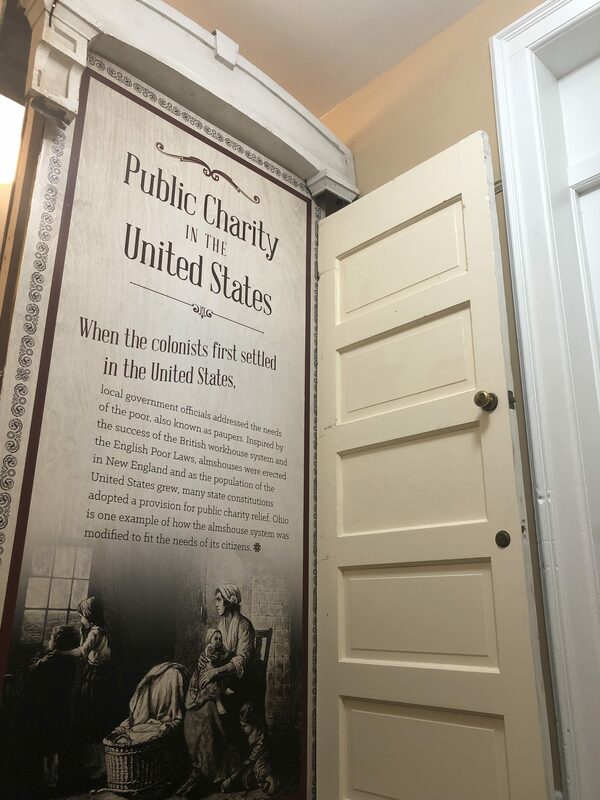 Opening in 1869, this public charity building housed the elderly, infirm, insane, physically disabled, and children until the original ideas of public charity in Ohio gave way to the modern ideas of social welfare. 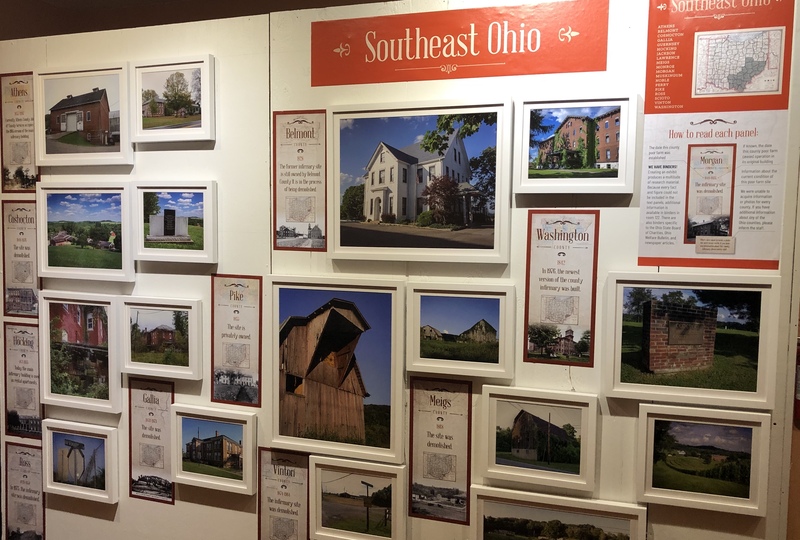 Our new exhibit For Comfort and Convenience: Public Charity in Ohio By Way of the Poor Farm combines the modern photography of Jeffrey Hall with historical interpretation about the 88 former public charity sites in Ohio. Over the past two years, Hall traveled over 5,000 miles in order to document the current condition of each county poor farm site. 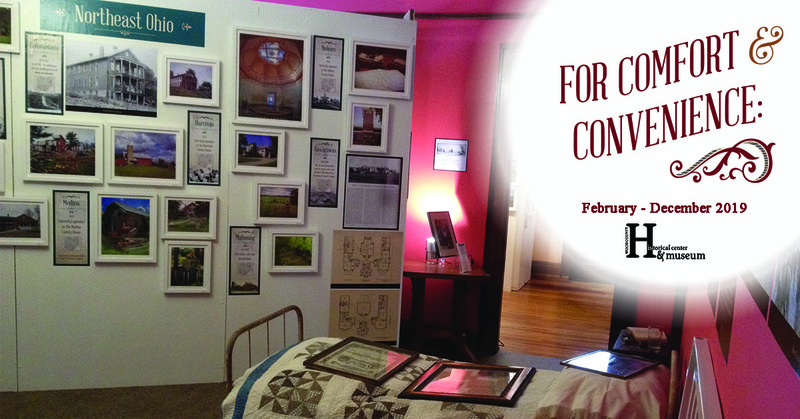 This exhibit was made possible with grants from the Ohio Arts Council and the Ohio Humanities Council. The WCHC maintains nearly 100 years of institutional documentation about the Wood County Infirmary inmates from 1869-1971; actual Applications for Relief, death certificates, and obituaries of former inmates are all on display. The exhibit layout was thoughtfully curated to mimic what was directed by the OSBC: separate dining rooms, sitting rooms, and bedrooms. Visitors will witness the functionality of the kitchen, the directives on church services for inmates, and the rules for burial in the pauper cemetery. There are also archeological findings and architectural remnants unearthed from the many remodeling projects since the infirmary became a museum. The official opening of For Comfort and Convenience is February 22, 2019, beginning with a ribbon cutting ceremony at 4:45 pm. At 6 pm Jeff Hall will share stories about his journey across the state as he worked to capture the poor farm images. If you cannot make it out for the opening reception, the museum is open Monday – Friday from 10am to 4pm and Saturday and Sunday from 1 to 4pm for self- guided tours (closed Federal holidays). Admission is $7 for adults and $3 for children with discounts for seniors, students, and military. Please check our website www.woodcountyhistory.org for a detailed list of all the 2019 events.